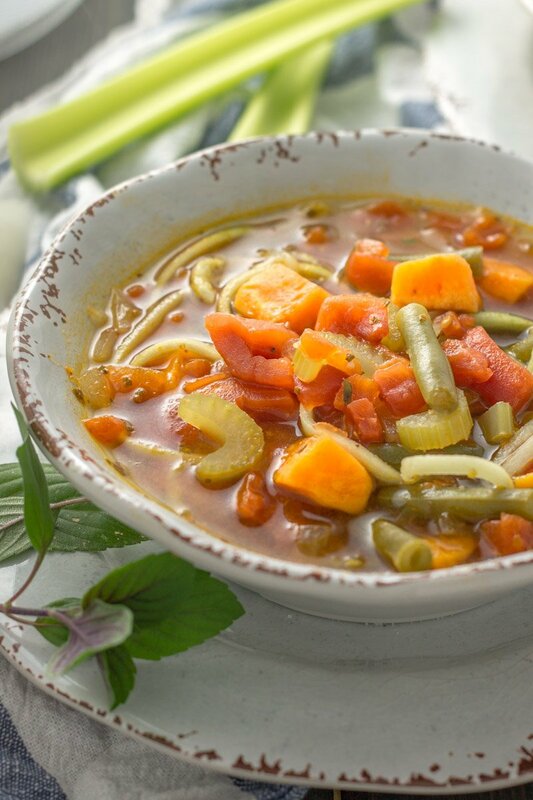 An easy, healthy, veggie-packed soup made in under 40 minutes. 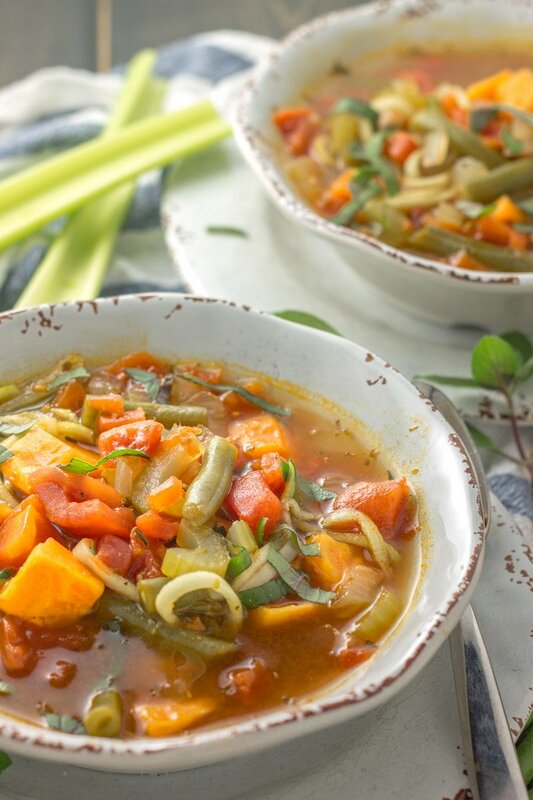 This Whole30 zoodle minestrone soup is the perfect fall and winter comfort food. Make it, eat it, or freeze it! Comfort in a bowl has never tasted so good. Soup is a beast when it comes to feeding little ones. You sort of have to get your mind wrapped around the fact that dinnertime will be MESSY. There will be sticky hands, messy chins, and a table slashed with liquid. It’s one of those universal truths moms just know. But when soup is packed with healthy veggies yummy enough for even little ones to devour, it doesn’t matter. Actually, it’s quite victorious. Think about it, if you served a plate of green beans, tomatoes, sweet potatoes, celery, and zucchini, I’d venture to guess it wouldn’t go over very well for dinner with kids (or let’s be real, or adults ). But mixed in to a comfort-style soup with flavorful Italian herbs, rich broth, and lots perfectly complimented texture, anyone would be crazy not to love it. Crazy I tell ya. I wasn’t sure if attempting a minestrone soup without beans or noodles was genius or insane. I certainly had my doubts. But after one bite, I was so delighted with the result I legit wanted to karate chop something in excitement. “I’ll never miss traditional minestrone soup again!” I yelled at 9pm (prime recipe testing for my schedule), as my husband gave me that ‘who the hell did I marry?’ look. Then the nutrition freak in me did one more cheeto chop (or is it judo chop?) when I realized this was going to be the perfect dinner and leftover lunch for the kiddos. Perfectly cooked soft veggies for the little mouths and a perfect leftover meal on rotation for me. Easy mommying for the win! 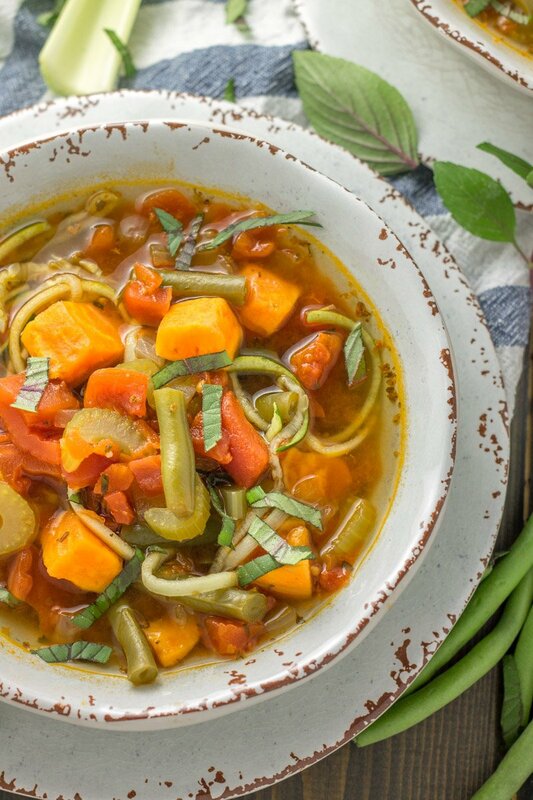 Sweet potatoes are the perfect substitution for hearty beans and noodles with traditional minestrone. 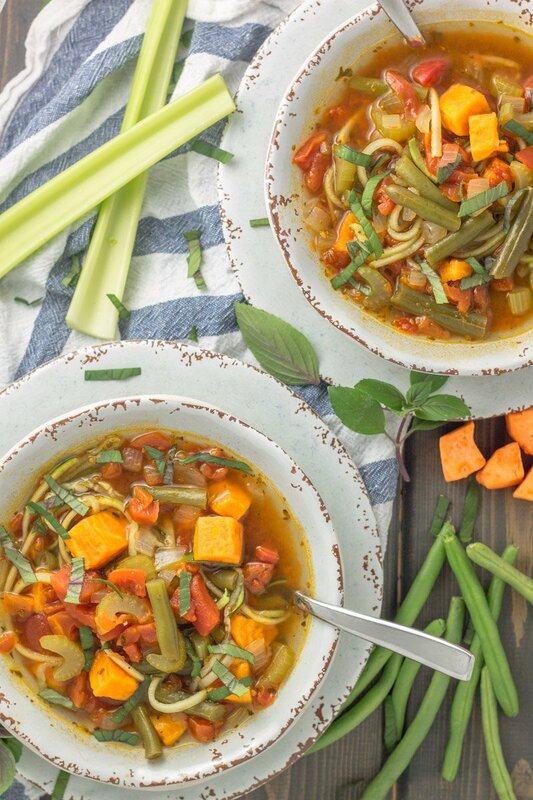 In fact, it’s my humble opinion that this Whole30 zoodle minestrone tastes even better with sweet potatoes. Because sweet potatoes = life. And no more mushy zucchini! Using zucchini noodles (or ‘zoodles’) is not only a fun way to add some creative flair, it omits that whole mushy zucchini thing that happens all to often in soups or stews. I do have one teeny-tiny confession…I bought the sweet potatoes already cut (thank you Target) and didn’t spiral the zucchini noodles myself (also bought them like that). So feel free to cheat and make your life easier. I won’t tell. Then follow a few simple steps, simmer, and wait for all the goodness to come to fruition. Who knew minestrone could be so dang easy (and cooked in under 40 minutes)?! 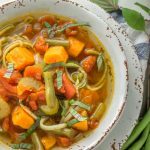 This Whole30 zoodle minestrone soup can also be frozen and consumed later for batch cooking at it’s best. 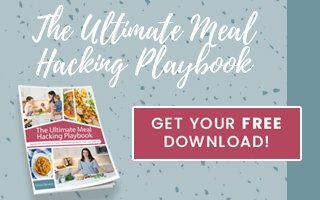 Love fall comfort food but want to keep it Whole30 compliant? 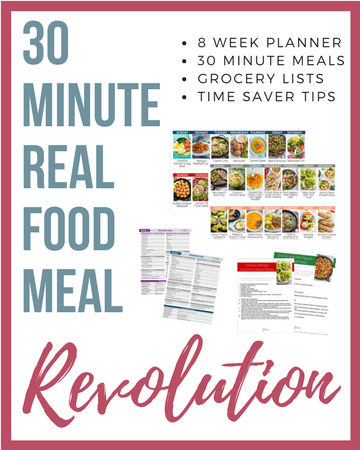 Try this one pot creamy Whole30 mushroom and sage chicken, parsnip leek butternut squash soup, tomato basil and beef goulash with eggplant, Whole30 Tuscan chicken spaghetti squash, hearty Midwest vegetable stew , and this Whole30 cream of celery and mushroom baked chicken. Made it for dinner tonight. Hit the spot for a cozy fall meal. The only thing I would have done differently (my fault) was slice the celery thinner bc it was still pretty crunchy. It was delicious – thanks Chrissa! If you were going to make a batch of this up to freeze, would you go ahead and add the zoodles or would you wait until you thawed it out to eat?